Philippe Bourrinet reviews a book looking at Amadeo Bordiga's life during his period of supposed inactivity, from his imprisonment in 1926 until the end of the Second World War. The founder and chief of the Italian Communist Party until 1925 Amadeo Bordiga inspired studies in Italy, and not so much apart from this country. Imprisoned and relegated in the islands (Ustica, Ponza) from December 1926 to 1930, Bordiga will be then released, and will withdraw from any political activity until 1943. 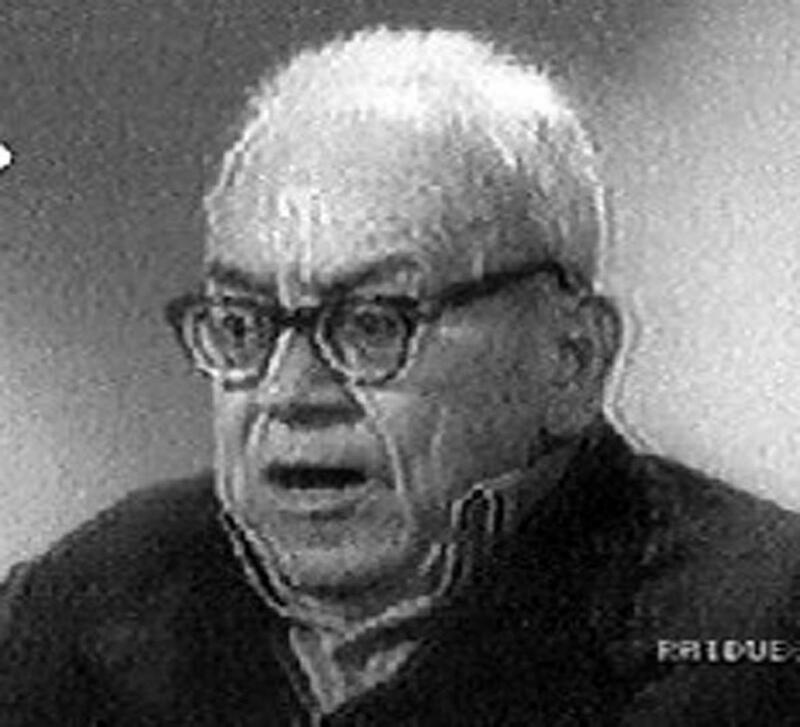 After this date Bordiga re-emerged more and more as the theorist of the movement of the Italian Communist Left, which is known as "Bordigist", until his death in 1970. This part of his life, the least known, under the Fascist triumphing regime, is studied in this work in a masterly way by A. Peregallli and S. Saggioro, who, from documents, memories, interviews and various studies, bring invaluable information to the historian of the workers’ movement. The work starts with an introduction on Bordiga and the Russian revolution, which insists on the foreign policy of the so-called Soviet State, as factor of "the degeneration of the Russian Revolution". At the beginning, until 1921, Bordiga was not still hostile to the German Communist Left (KAPD), and had not still dressed in Leninist costume. It is interesting to note, as the authors notice it, that since 1920, in the IId congress of the Comintern, Bordiga affirmed that the Russian revolution was a double revolution, half-democratic, half-proletarian, taking as an example the revolution of 1848. The first chapters point out the ideological struggle which Bordiga inside the Comintern against Stalin carried out, with a very great courage at the time of the VIth Enlarged Executive, whereas his tendency had been expelled from the direction of the CP of Italy the same year. To neutralise him, the Comintern required that Bordiga should settle in Moscow; finally, by fear that Bordiga should find too many partisans in Moscow, in the "core" of the Comintern, this last gave up this project. At the end of 1926, Bordiga received a letter of Karl Korsch, former Leftist leader of the KPD, proposing to build an opposition outside the Comintern. Bordiga answered that it was necessary to fight as fraction inside the Communist parties. There was not thus convergence between the German Communist Opposition, known as "ultra-left" and Bordiga. A few weeks afterwards, Bordiga was imprisoned by the Fascist police, and condemned to relegation for several years, just like Gramsci. In December 1926, Bordiga met in the Island of Ustica Antonio Gramsci, his political adversary. Bordiga, contrary to the legend, was not sectarian in Party relationship, and considered of major importance the human factor. In spite of their divergences, Bordiga and Gramsci were bound by an old friendship, which they preserved against winds and tides, so much so that Gramsci remained in the house of Bordiga in 1924. Bordiga directed the "Scientific section" and Gramsci the "Literature and History section". Worried by the worsening health of Gramsci, Bordiga proposed to the Centre of the Party to let him escape from the island. But that did not have success. It is typical that in 1927, although Togliatti had become the number one in the party, Gramsci wrote not to Ercoli - "a certain Togliatti ", as he said with contempt -, but to Bordiga. In 1934-35, short clandestine meetings took place between this last and Gramsci, deeply sick, under the monitoring of the police, which accompanied him to the private clinic of Formia. In 1928, Bordiga was relegated with other members of the Party to the island of Ponza, where he was in political minority. In February 1929, whereas 102 Stalinist Communists made vote for a resolution defining Trotsky as "one of the open enemies of the Communist International", thirty others with Bordiga took the defence of the former Bolshevik leader. The direction of the Italian CP wished expelling him immediately out of party, but prudently waited. In November 1929, Bordiga having finished time of relegation returned to Naples, not without returning sometimes in Ponza, to finish the houses which it had designed, being a famous engineer. Bordiga remained apart from the Communist organisation and took care not to rejoin the official positions of the Comintern on "the radicalisation of the masses" and "the social-fascisation of the social democracy". He was formally expelled in March 1930 from the Central Committee and from the party too "to have supported, defended and endorsed the positions of the Trotskyist opposition"; "to have given directives and to have deployed a secessionist activity of disintegration of the party". In fact, Bordiga withdrew from political activity, which he could continue only abroad. In France and Belgium, by the conference of Pantin [outskirts of Paris] (April 1928), was born the Left Fraction of the Communist Party, mainly directed by Ottorino Perrone. The Fraction published an Italian newspaper: Prometeo. Trotsky valued greatly "the revolutionary, alive, muscular, and abundant thought of Amadeo Bordiga". In contact with the Italian Fraction in Marseilles, the Trotsky’s son, Leon Sedov, had entrusted money to rent a fast high-speed motorboat ("motoscaph"), which would have helped Bordiga 1929 escape from the Island of Ponza. Bordiga refused the proposal for escaping: "impossible to rectify the legs" (to imply the Comintern), he answered in sibylline terms. For all the period from 1930 to 1943 - date of the collapse of Fascism - Bordiga could work as engineer in Naples. This peaceful life was disturbed several times by interrogations, arrests (at the time of a princely marriage! ), or police provocations. Questioned by the police on May 23, 1930, he declared that "any illegal activity in the Kingdom is today (…) sterile and useless". The Fascist police, in October 1930, noted that Bordiga rejected any spirit of "martyrdom and sacrifice", and did not consider the possibility of taking in the future "any political function". Nevertheless, he maintained in an informal way contact with the opponents of the intransigent Fraction. After the return 1936 of Ludovico Tarsia (1876-1970) from Brazil, a surgeon and one of the major founders of the Abstentionnist Fraction in 1919, the ties became stronger between the former partisans of Bordiga in Naples. The Fascist police noted in July 1939 that "…Bordiga in Naples finds always new sympathies even among his adversaries, and meets a broad adhesion in the camp of the intellectual middle-class". In fact, a lot of Communist workers of the industrial Napolitan aerea continued to call themselves "Bordigists". The police, fearing Bordiga’s escape outside, underlined in August 1942 that "Bordiga is and will be always a Bolshevik Communist". That did not prevent, obviously, the Stalinist chiefs of the Italian CP to accuse Bordiga and "the bordigism" of having passed to Fascism or of having become spies of the regime. What is certain, it is that Nicola Bombacci, a former Communist leader became a Fascist; he suggested in 1936 that Bordiga should take part in a review which would celebrate alliance between Fascism and Soviet Communism. Bordiga refused firmly. The campaign intensified as from 1937-38, when a hundred Italian Communists refugees in the USSR were physically liquidated. A Communist leader, such as Luigi Longo, at the beginning of the seventies, did not use any more calumny to define the Bordiga’s activity. According to him, Bordiga at that time was satisfied "to build houses". Finer politician, he noted that "(according to Bordiga) it was not a question of wasting time and to compromise in a really useless policy in his opinion". In fact, Bordiga run a purely attentist policy, what apparently he theorised. The police reports testify that. On May 26, 1936, Bordiga in presence of close friends affirmed: "To wait, not for this generation, but for those of the future. The situation will change. I preserve intact my mentality: the men do not count, they do not represent anything, cannot have any influence; the facts determine the new situations. And when the situations are ripe, then the men emerge…One can say that this state of mind which is mine is that of the men of a future civilisation, of a philosophical system, can I say, which probably is rather remote today …I am very happy of living far from ridiculous and petty episodes of the so-called militant policy, from the mean chronicle, from the events day after day. Nothing of all that interests me: I am loyal to my faith. I am happy of my insulation. I made of my life an observatory for the exclusive service of my spirit… "
When the war of Spain burst, it seems that Bordiga had had the same position that the Italian Fraction, which published Bilan and Prometeo. According to a witness, last thereafter involved in Stalinism, Bordiga affirmed that under in no case he would "choose between the Francoists and the Republican patriots" and that he regarded the war in Spain as a preparation to the world war, hidden behind "an anti-Fascist mobilisation of the workers of the whole world". In fact, Bordiga awaited the coming war, accelerated by the military preparations of Hitler, and consequently the revolutionary explosion: "If Hitler can make yield the odious powers of England and America, while making thus precarious the capitalist world balance, long live the butcher Hitler who works in spite of himself to create the conditions of the proletarian world revolution … All the wars henceforth - it is an general observation - find their final epilogue in revolutionary facts. After the defeat succeeds the revolution." During the war, until the end of 1943, Bordiga did not do anything. On the other hand, the "Bordigists" of the North, around Onorato Damen, Bruno Maffi, Mario Acquaviva, and other comrades tried since 1942 to weave clandestine ties, which should allow the Internationalist Communist Party (Partito Comunista Internazionalista) to emerge (what became effective in 1943), far away from any contact with Bordiga. The positions of Bordiga on the war seemed clear from an internationalist point of view, what we can judge by some testimonies of the time. At the beginning of the years 1940, Bordiga had affirmed, discussing with the socialist lawyer Mario Paone, that the enemy for the proletariat was always capitalism, in particular its most developed form, the North-American Capitalism: "Dear Paone, remember that Fascism and Nazism are the completely contingent and transitory forms of capitalist and bourgeois conservation, and that the enemy who is to be beaten is always the American imperialism." Nevertheless, testimonies on the positions of Bordiga concerning the result of the war are contradictory and show great ambiguities. It seemed that Bordiga certainly believed in the victory of the Axis and that the victory of Fascism would be for him "a necessary phase through which should pass capitalism in all the countries ", and that "the victory of Allied would have made only delay this inevitable process". Well more, he would have wished "the defeat of the true capitalism, i.e. American, and not that of German type". According to the press of June 1944 (an article of Bandiera rossa, taken again by the Stampa of Turin and the Gazette of Lausanne of June 14), whereas the Red Army made fulgurating break-through in Eastern Europe, Bordiga would have affirmed that the triumph of the Stalin’s army would be "the moving proletarian revolution". A press release of the Bordigst press in the North (Prometeo, July 25, 1944, in French) formally contradicted alleged prosovietic Bordiga’s sympathies. It seems that at this period, Bordiga refused not only to join the socialist Party, which had discreetly made him the proposal, but refused any advance of the Americans who, installed in the South of Italy divided in two parts, would have agreed to use the prestige of Bordiga to counter the development of the Italian CP of Togliatti. In fact Bordiga enjoyed an immense prestige even from many militants of the CP, particularly in the South, who refused to have faith in the calumnies spread by Togliatti, in the so-called equation between "Bordigism-Trotskyism" and Fascism. It is difficult to known whether Togliatti and Co. projected an assassination of Bordiga. They were in fact very anxious on the prestige of the former chief of the Communist Party. In any case, Bordiga at the beginning of 1943, had fled Naples to take refuge to Formia; and after the conquest of Rome by the Anglo-Saxon troops in June 1944, he had settled in the capital, without Togliatti knowing it. According to an agent of the OSS - the ancestor of the CIA - who introduced himself as a journalist for interviewing Bordiga in November 1944, "Ercoli" did not have interest to make assassinate the former chief of the CP, because "his fanatic partisans would bloodly avenge him, and that Togliatti knows it". The prestige of Bordiga explains without any doubt why he was thorough to take again a political activity. Many militants of the CP dissatisfied with the participation of Togliatti to the Badoglio’s government were quitting the party. From October to December 1943 a scission of the CP in Naples – the so-called scission of Montesanto - occurred. In whole south of Italy emerged groups appealing to Bordiga: in Calabria, in Puglia, in Campania and in Latium. Whole sections of the CP criticised Togliatti and Russia. Especially in April 1944, it was constituted in Rome the Frazione della Sinistra dei Comunisti e Socialisti italiani which published Il Proletario in Naples, La sinistra proletaria in Rome, and other newspapers like Avanguardia and Frazione salernitana di Sinistra (in Salerno). With Enrico Russo, as secretary of the Camera del Lavoro (job centre), who had militated in the Italian Fraction outside (Bilan and Prometeo), a "red" union (CGL) had been constituted in Naples, which escaped from the hands of the CP. Russo was a leading "bordiguist" of the "Sinistra comunista". If in Rome, Bordiga was the object of a permanent pilgrimage, he did not want to be involved in an party activity. For certain members of the Toglliatti’s CP who asked him what it was necessary to be done, if the party had to be left, he answered: to be patient and seek to remain in the party. In March 1945, Bordiga - with Libero Villone (who thereafter adhered to the Trotskyist party) and Renato Matteo Pistone, leaders of the "Sinistra" - worked out a series of Theses: "For the constitution of the true Communist Party". These Theses referred to the rejection by the Italian Left of the "United Front" in Germany (1923), to the rejection of the French and Spanish Popular Fronts and of the "Resistance" movements in Europe. Admitting impossibility of "rectifying" the Socialist and Communist parties, he considered always necessary "to develop inside a continual work of ideological clarification; by this way, elements not yet corrupted by the Centrist degeneration will be able to find their right way". The end of the war, however, with the probable outcoming of a revolutionary situation, "prepared favourable conditions for the transformation of the Fraction into party". On the question of the war, Bordiga and the "Frazione" were without ambiguity. They put ahead the need for "proletarian internationalism" and "the transformation of the imperialist war into revolutionary civil war". They fought also "the antifascism" of the CP, smoke screen of those who "work for the internationalisation of the Nazi-Fascist methods". (Sinistra proletaria, April first, 1945). Facing to the Committees of national liberation (CLN) of Togliatti, the Frazione decided for a non-adhesion to the partisans’ groups: "Those represent a compromise with the bourgeois forces and thus a weakening of the classist vitality of the proletariat". (Il Proletario, May 28 l944, "Dichiarazione programmatica ", partially written by Bordiga). Nevertheless, Bordiga added that certain movements of partisans positively expressed "the attempt at a class revenge, at an autonomous demonstration of revolutionary forces..."
Concerning Russia, Bordiga and his partisans in the Frazione expressed the most indecision. They did not decide against the USSR but against the policy of the "current Russian ruling class, because harmful to the developments of the proletarian revolution". Nevertheless, the "Programmatic Declaration" defined Russia as integral part of the new capitalist organisation. According to it, Russia was made up of three classes: the class of privileged and exploiters, allied with that of the rich and middle-class peasants, and the class of the exploited and oppressed people "made up one once again of the industrial and agricultural proletariat". (Ibid.). Vis-à-vis Stalinism, Bordiga proposed the foundation of a new Communist International. But the "true Communist Party" did not exist behind Bordiga in the South, but in the North, when was born the internationalist Communist Party (PCInt) created by Onorato Damen, Bruno Maffi and Mario Acquaviva (this last was assassinated by the henchmen of Toglatti in July 1945). Strong of approximately 2.000 active militants, this party defended the positions of Bordiga in the Twenties, by also integrating those which had been defended in France and Belgium by the Italian Fraction in exile (Bilan and Prometeo). Meetings took place between Bordiga and the leaders of PCINT (Damen, Maffi). It was necessary to overcome the resistance of Bordiga, who did not wish to take part in the new party. He was charged to write the Platform of the internationalist CP. July 29, 1945, the "Frazione" of the south was dissolved, and his militants adhered individually to the PCInt. Never Bordiga adhered formally to the Party. The continuation of the Bordiga’s political way is another history to be written, as the authors of this work underline it. Such a work is a rare work. It constitutes a true innovating research, of a very great richness. Not only it bases on the texts, newspapers of the period, but also on a systematic investigation of the State Archivs in Rome, and on written or verbal testimonies of the witnesses of the war time. Such a book is useful to demolish all kinds of black legend around Bordiga in the period of Fascism. It sweeps out these legends, but too any hagiography which would make of Bordiga an exemplary "militant ", whereas he had been voluntarily withdrawn during almost 15 years of any political and theoretical activity, at the price of confusion of his own thought during these years of interior exile. Taken from the Left-wing Communism: An Infantile Disorder? website. 1. This work is the republication, increased considerably, of the booklet: Amadeo Bordiga. – Gli anni oscuri (1926-1945). The first edition comprised some important texts, such as a long police report on Bordiga 1936. Quaderni Pietro Tresso, No. 3, Florence, January 1997. To order, write to: Paolo Casciola, CP 154, 50100 Firenze (Italy). Contact: colibri [at] altern.org. Or: Social Cooperativa Colibri, via San Michele del Carso 4 - 20037 Paderno Dugano (Milano). CCP 28556207.